The Foundation honors our legacy by looking forward, the only direction we can go, in our community and on our planet. To this end, we collaborate with grantees whose innovative ideas are scalable and replicable, and we support programs that equip students with the tools to tackle our most pressing social and technical challenges. 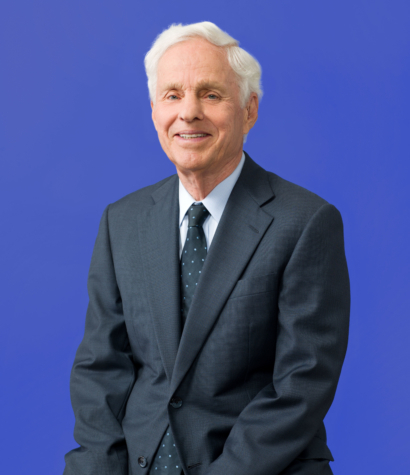 Richard C. Atkinson is president emeritus of the University of California and professor emeritus of cognitive science and psychology at the University of California, San Diego. Dr. Atkinson served as president of the UC system from 1995 to 2003; his tenure was marked by innovative approaches to admissions and outreach, research initiatives to accelerate the University’s contributions to the state’s economy, and a challenge to the country’s most widely used admissions examination—the SAT—that paved the way to major changes in the way millions of America’s youth now are tested for college admissions. Before becoming president he served for fifteen years as chancellor of UC San Diego, where he led that campus’s emergence as one of the leading research universities in the nation. Dr. Atkinson is a former director of the National Science Foundation, past president of the American Association for the Advancement of Science, and was a long-term member of the faculty at Stanford University. His research has focused on problems of memory and cognition. He is a member of the National Academy of Sciences, the National Academy of Medicine, the National Academy of Education, and the American Philosophical Society. Dr. Atkinson is the recipient of many honorary degrees and the Vannevar Bush Medal of the National Science Board. A mountain in Antarctica has been named in his honor. We are a private foundation based in San Francisco, committed to strengthening the Bay Area community and nurturing the continuity of the Jewish people worldwide. Sign up below to receive newsletters and updates about the work of the Koret Foundation and our grantees. © 2019 Koret Foundation. All Rights Reserved.